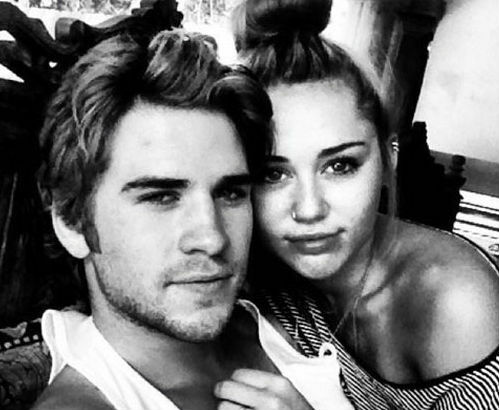 -Wait, so Liam Hemsworth and Miley Cyrus haven’t broken up after all? Le sigh. -Meanwhile, Miley and Snoop‘s new video dropped today. -I’m actually relieved about Connie Britton not being able to star in Girls. Seeing Tami Taylor and Hannah Horvath share a screen may make my head explode. -Speaking of Connie, she’s in the Hollywood Reporter‘s new roundtable with Monica Potter, Kerry Washington, Kate Mara, Anna Gunn and Elisabeth Moss. I haven’t watched it yet because it’s an hour long and is going to require my full attention…and a glass of wine. –Peter Dinklage is in the new X-Men movie? Bring it, Tyrion! –Cameron Diaz may be dating a billionaire who’s delightfully named Elon Musk. –Amanda Bynes just posted a fake photo of her with Rihanna, which is supposed to prove that she never Twitter dissed the singer…or something. -Meanwhile, Amanda visited an indoor trampoline park and managed not to get arrested of cry in the shower. Progress! –Tom Hardy is rumoured to be in talks to play Elton John — which is kind of perfect. -For some reason, Jaden Smith dressed up in a full Iron Man costume to take Kylie Jenner on a date. -Speaking of Jaden, I saw a preview screening of After Earth last night. So bad. So very, very bad. The kind of bad that actually makes you a little angry after seeing it. No wonder it’s only at 15% on Rotten Tomatoes. -In other movie news, I’m stoked that The East could end up being the sleeper hit of the summer (after Before Midnight, of course). -The corrections at the end of this NYT article on Daft Punk made me laugh. -Netflix is willing to pretend that everyone loves the new Arrested Development episodes enough to consider ordering more. –Viggo Mortensen doesn’t just act in movies; he reads the source material and is willing to turn down paying gigs if the role isn’t canon. -Also turning down big-paying gigs is Johnny Depp, but for much less admirable reasons. He reportedly dropped out of the Whitey Bulger movie because they could only pay him $10 million, and his usual fee is $20 million. Well, this isn’t the first time he’s come across as a stingy rich dude. -I kind of love that Oprah posted a photo of herself fangirling over Hugh Jackman. –Busy Phillips thinks everyone needs to chill the eff out when it comes to scrutinizing pregnant celebrities. -No surprise here: Mariah Carey just confirmed her exit from Idol. -Oh come on! Kit Harington keeps getting photographed in my neighbourhood. How have I not seen him yet?! -The international trailer for This Is the End has landed. Still funny.